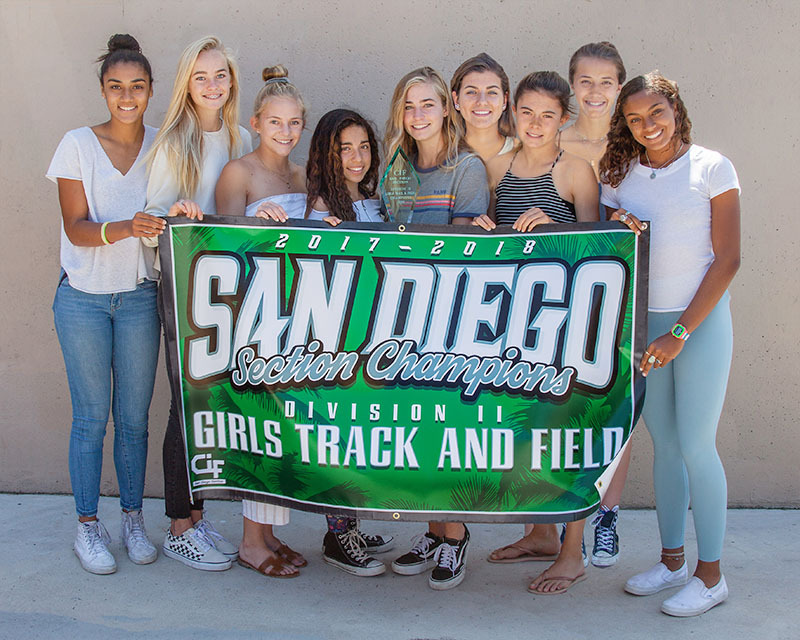 In 2018, the Coronado Islanders won the San Diego Section Division-II CIF Championship. This was the first time in the history of the school that an Islander team finished first. In 2016 we placed second, in 2017 we placed third. The nine girls who advanced to the finals are pictured above. Each holds at least one school record, either an individual record or as a member of a relay team. Below, from left to right, I've listed each girl's name and links to their records and other info. This Photo is available at full resolution in various formats for printing and download.